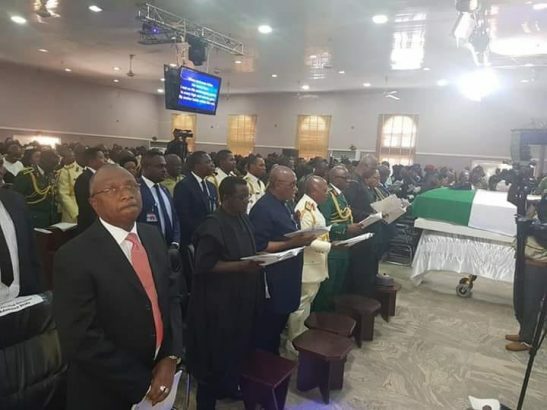 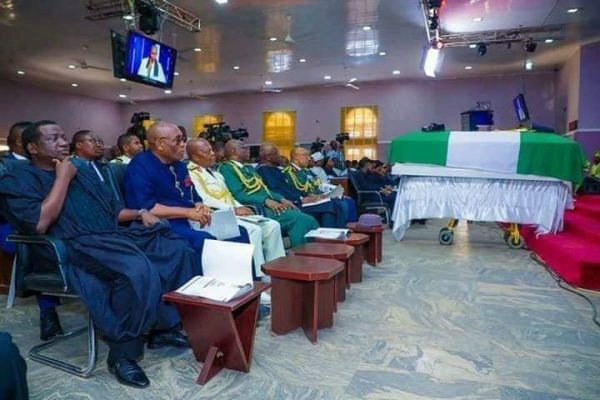 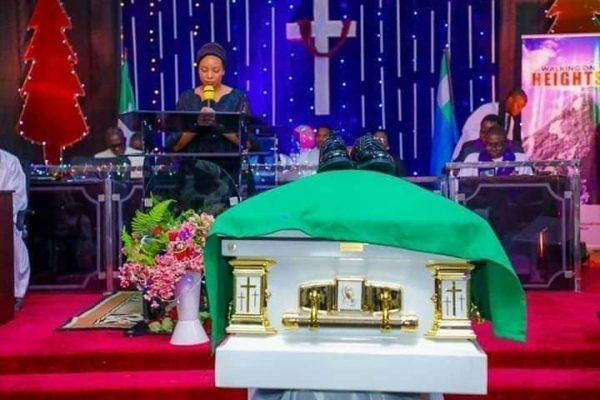 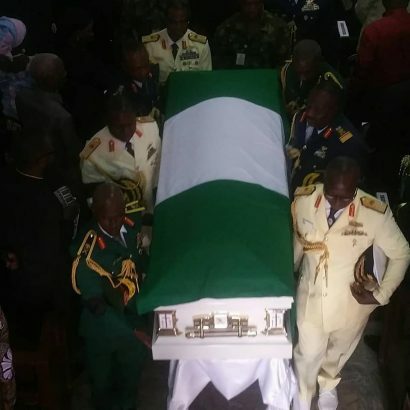 Former Chief of Defence Staff and former Chief of Air Staff, Air Vice Marshall Alex Badeh funeral is ongoing at the Pentecoastal Church, Air Force base in Abuja. 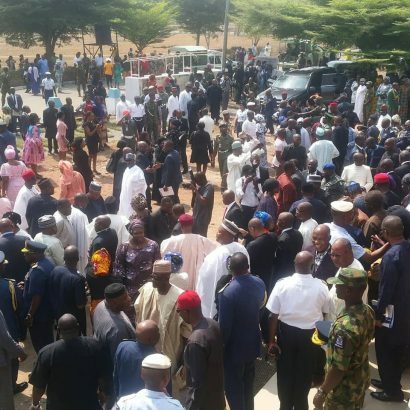 Secretary to the Government of the Federation, Boss Mustapha, governors of the Plateau and Adamawa state, Simon Bako Lalong and Bindo Jibrilla, Cheif of Defence Staff, General Abayomi Olonisakin, are amongst the dignitaries at the funeral. 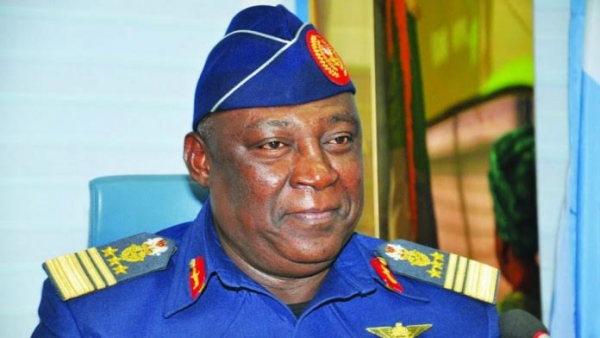 According to some reports, the Former Chief of Defence Staff was killed by armed bandits who had wanted to rob him of some cash he was allegedly carrying in his vehicle for the purpose of buying a piece of farm land.